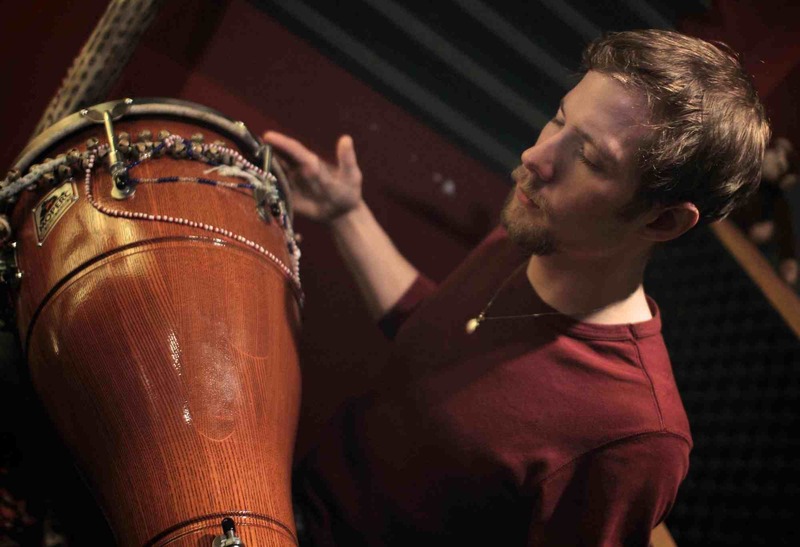 On Friday, March 25, Derek Gray debuts his adaptation of Batá rhythms to drumset – a new approach to the instrument rooted in ancient Afro-Cuban drum tradition. Having studied the tradition over the course of the past 8 years with Batá masters, Julio Davalos & Román Diaz, in four countries – Canada, Cuba, Switzerland & USA – Derek’s creative adaptations of this music to the drum kit are not only a modern approach to the Batá tradition, but also an exciting new way of playing the drumset. For this special concert, Derek will joined in the Batá trio/percussion section by Reimundo Sosa & Magdelys Sav, as well as Patrick O’Reilly (guitar/effects), Edwin Sheard (alto sax) and Justin Gray (acoustic & electric bass). Since graduating from Humber College’s renowned music program, Derek has traveled the world studying, performing and teaching – including time spent in Ghana, Cuba, Italy, Switzerland, Banff, New York City and Washington. At home in Toronto, Derek works extensively as a bandleader, composer, and sideman playing drums/percussion with a variety of projects, including Gray Matter (a contemporary-jazz quintet co-lead lead with his brother, bassist Justin Gray – www.graymattermusic.ca), the trans-Mediterranean group Ventanas (4x CFMA nominees – www.ventanasmusic.com), and the 2015 Juno-nominated Indo-Jazz ensemble Monsoon (www.monsoon-music.com). Derek also teaches music & facilitates hand drum circles / workshops across Canada.